Liverpool, 1940. The war is raging and the Department of Historical Accuracy needs a brave and daring History Spy to uncover the truth. Your mission: learn how to identify enemy aircraft, make Spitfires out of saucepans, and disguise yourself as an evacuee. Find out how people spoke and what they ate during wartime, and become a champion at marbles! 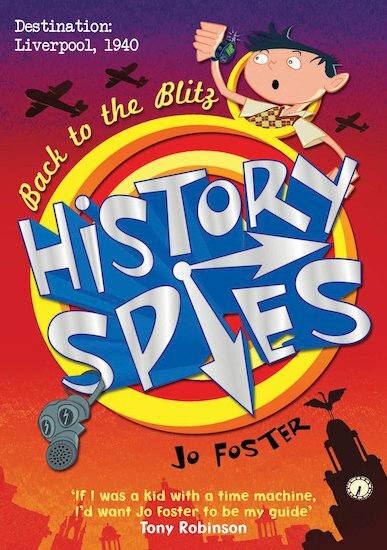 Join top History Spy Charlie Cartwright in his adventures as he travels through space and time, dodging bombs in World War II!